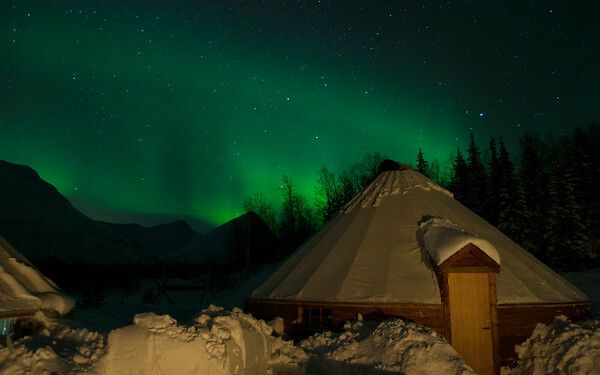 Seeing the green of the aurora dancing in the sky above the snowy wilderness is an extraordinary experience that you will never forget. However, if you’re like most travellers, you won’t be happy with just seeing it — you’ll want at least one or two photos so you can show people at home and make them incredibly jealous, right? 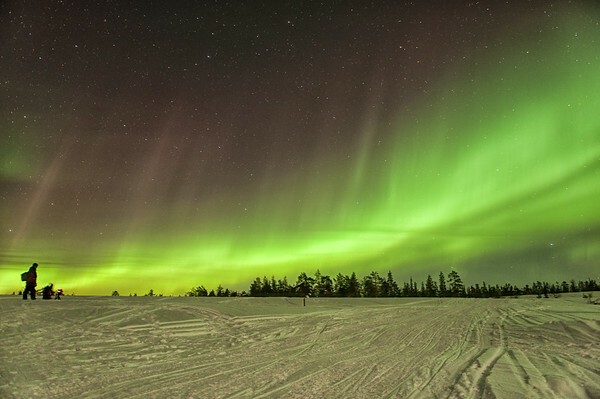 Well, unlike many travel experiences where you can simply pull out your camera and snap a shot (or pull out a GoPro and blindly aim), it pays to be prepared when it comes to photographing the northern lights. Even as an experienced photographer, it was harder than expected on my first few attempts to take good photos of the aurora. 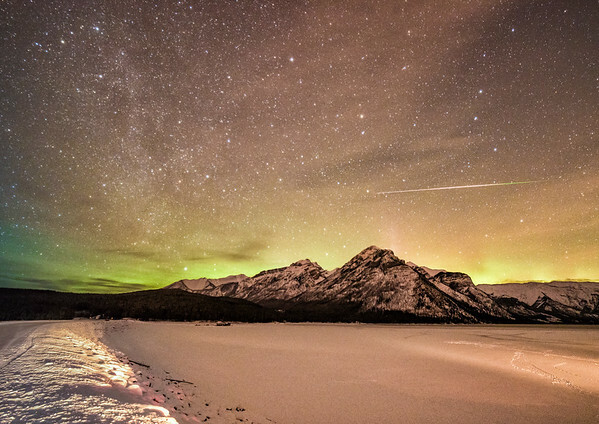 These tips will help you be prepared for what the aurora throws at you, and hopefully you’ll come home with more than a few shots that make you smile every time you see them. 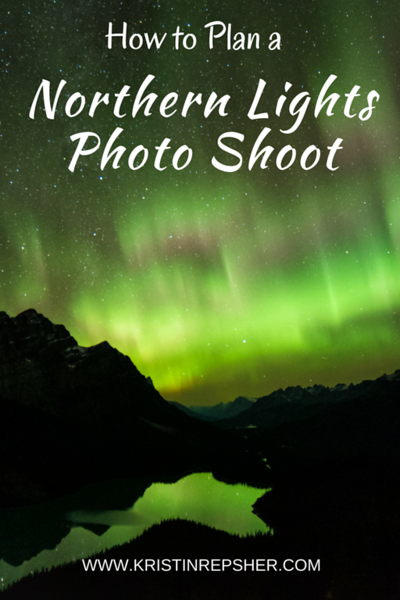 This post covers what you should do to prepare for a northern lights shoot; a post about how best to capture the lights (covering camera settings, composition, and the like) is forthcoming. You may not know this, but there are actually daily aurora forecasts (just like there are daily weather forecasts). 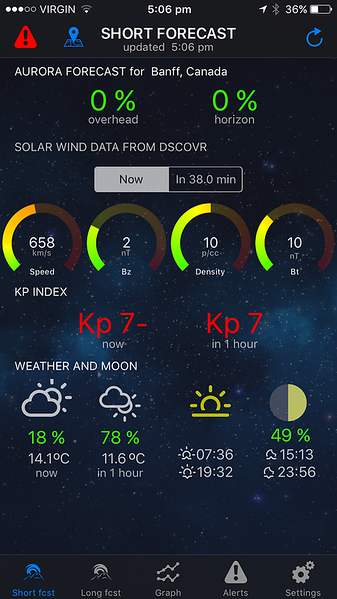 There are plenty of apps (such as Aurora Alerts for the iPhone) that show you both forecasts and the current conditions, but some are more reliable than others, so it pays to have a few on your phone for comparison. Current conditions report on Aurora Alerts for Sept 27, 2017. Crowdsourcing information often works very well for aurora chasers as well. 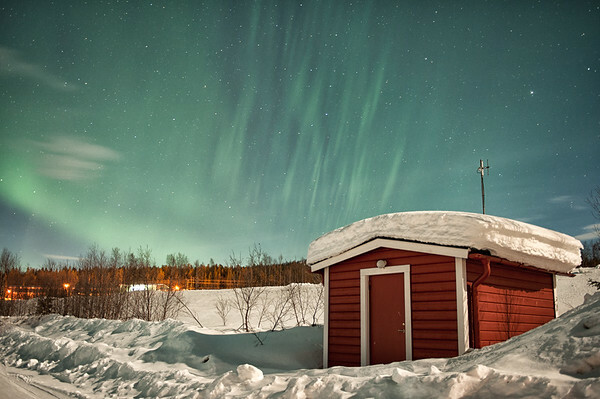 The Aurorasaurus app allows users to self-report auroras, so you can crowdsource information on the night about where the aurora has been visible and how strong it has been. There are also a number of local Facebook groups for aurora chasers (Alberta Aurora Chasers and Aurora Australis Tasmania, to name a few) where threads are made on nights of big aurora shows to help people find good locations for viewing. Another fantastic source (and the one I have always used in conjunction with the sources mentioned above) is SpaceWeather.com. In one glance, you can see if there have been any recent coronal holes or CMEs (coronal mass ejections from the sun which create geomagnetic storms in the atmosphere), when they will arrive, and what the current Kp level is. The Kp level varies between 0 and 9, with 0 meaning it’s very unlikely you’ll see anything to 9 meaning exposed electronics in the Arctic are at risk of frying. The biggest storm I’ve experienced was an 8, when I could see the aurora clearly dancing over my apartment in Calgary despite the light pollution. The other important indicator to look at is the Bz level, which is a measure of the interplanetary magnetic field. All you need to know is that the more negative this number is, the more active the aurora is likely to be. That green gap in the clouds on the right? 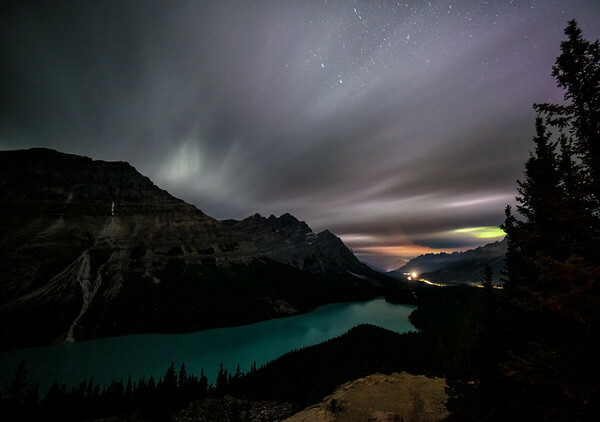 Yep, that’s the northern lights, hidden by cloud. This is crucial. Even if the auroras are the strongest they have ever been, if you have a cloudy night you may see a bit of green peek out from behind the clouds, but that’s all. It pays to look up various cloud cover forecasts and radars that show cloud cover (not just rain) to determine if the clouds are going to move, and if not, if there is another area within driving distance that may have clearer skies. It’s also important to know how much sun is expected at your latitude at any time of night. 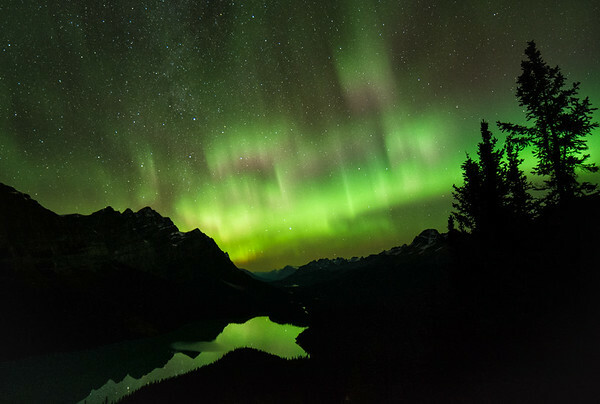 The aurora is not visible in the far north between April and August because the sun doesn’t drop far enough below the horizon; even in Banff, skies do not go completely black in the middle of summer due to the sun being too close to the horizon. 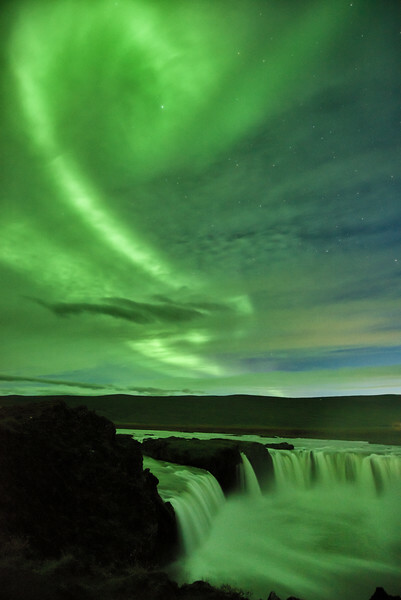 I’ve had people tell me they are so excited to go to Iceland in June to see the northern lights; in this case, there is no point getting your hopes up, because the aurora just isn’t bright enough to be seen in daylight. Light pollution — whether it’s natural or man-made — is your enemy when you are taking aurora shots. You want the sky to be as dark as it can be so the colours contrast against the sky as much as possible. That means you’re best off getting out of the city and once you’re out, you should face away from any nearby towns. It’s also best to photograph the aurora at new moon rather than full moon; while it will still be visible, long exposures will turn the sky blue (as though it’s daylight), which doesn’t contrast well with green. Don’t worry — if you’re only visiting during full moon, there’s still every chance you’ll see the lights. If you’re in a large city, your chances are significantly lower; in a town (even one with 60,000 people like Rovaniemi, Finland), it can be possible on stronger nights. but the more external light sources you can cut, the better. You will need a camera that has manual mode, meaning you have the ability to adjust the shutter speed, aperture, and ISO. All dSLRs and mirrorless systems have this option, as do a select few point and shoots. 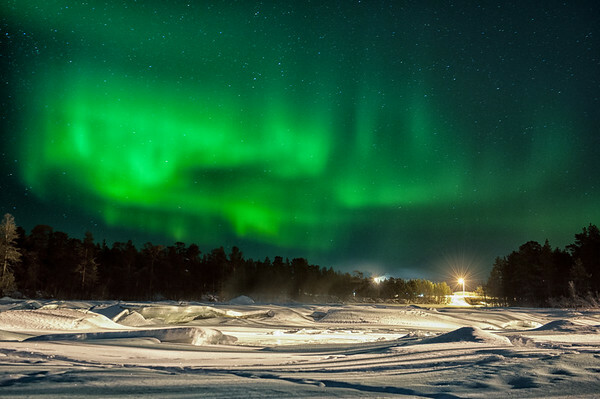 It’s usually best to take the widest possible lens you have with you for aurora photography. Why do I say this? Well, stars will begin to trail after a certain period of time in your photos because they are constantly moving across the sky due to the earth’s rotation. The wider then lens, the longer you can shoot before this rotation becomes evident. There’s a rule called the 500 rule that tells you (roughly) when stars will begin to trail in your photos. This rule says that the amount of time stars will take to trail is 500 ÷ the length of your lens (or, for a non-full-frame sensor like in the Canon 7DmkII or the Nikon D7500, 300 ÷ the length of your lens). For instance, a 24mm lens will trail after 500/24 = 20s, whereas a 16mm lens will trail after 30s. As you can see from the photo above, you don’t always have to pay attention to whether the stars will trail, but I find that short star trails tend to make your eyes feel like the sky is out of focus, even if the aurora is perfectly clear. The other reason a wide angle lens is best is the fact that it lets you take in as much of the sky as possible. Composition of shots with the northern lights is difficult due to the fact that they are constantly moving, so the more sky you can see at any one time, the better. You should make sure you remove all filters (including UV filters) from your lens beforehand, otherwise the aurora can reflect in weird ways through them and create artefacts that are impossible to remove in the final photo (a common complaint is a series of concentric circles). I also recommend taking a cable release so you can use it to operate the camera to avoid introducing camera shake. Remember that shooting at night can be frustrating, particularly when you are in large groups and cannot use your flashlight due to the disruption it would cause for other people’s photos. It’s best to play around with your camera in a dark setting (such as a dark room) beforehand to make sure you can start to find different buttons (ISO is an important one) prior to going out on the night. Also, practice focusing on infinity (a point that will be further discussed in my “shooting the northern lights” post) so you can find this point at night when your lens will no longer easily autofocus. I also strongly recommend buying a pack of glowsticks — these are often bright enough to light up the buttons on your camera without casting light everywhere around you like a flashlight or cell phone screen will do. These guys were bundled up well in Arctic suits so they could handle extended exposure to -20ºC. 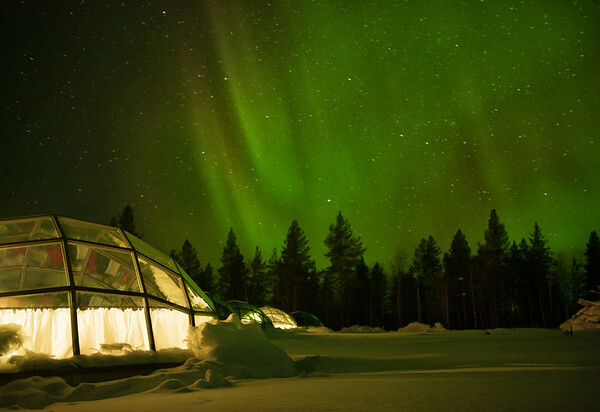 Many people travel to see the aurora during the northern winter, which means that you need to be ready to shoot in the cold. There are a few different aspects to this: keeping your gear functional (both during and after your shoot) and keeping yourself safe. I’ve covered the former in the linked blog post above, and the latter is the subject of an upcoming post. 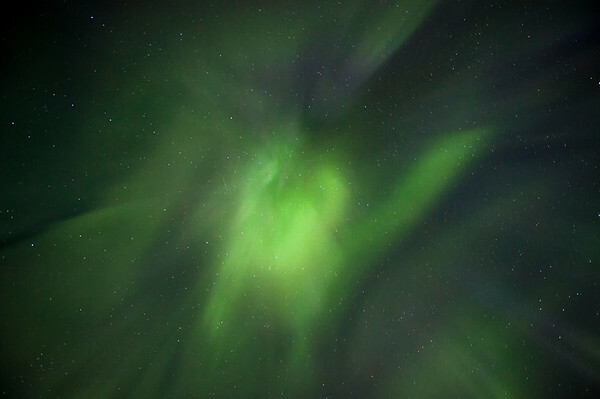 Yes, aurora photos are all about the crazy, seemingly unnatural lights dancing above your head. However, a shot of only the aurora isn’t always as exciting as it could be, since it doesn’t give any context as to what it was like to be there or how much of the sky the aurora was covering at the time. 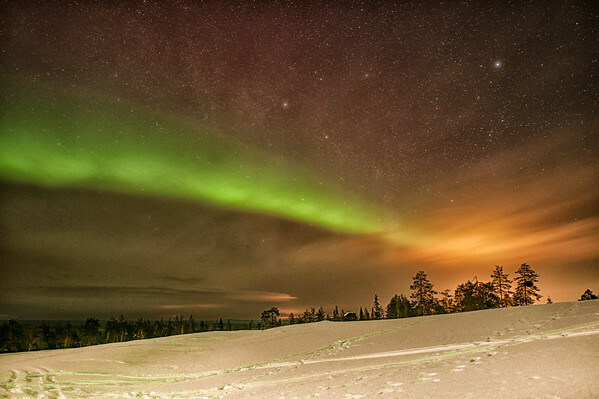 A corona dancing over Galdotieva in Enontekiö, Finland. It’s cool, but there’s no reference to show just how large it was. On many of my shoots (particularly in Finland), I didn’t have a lot of time to scout my location during the day. So, I had to rely on finding a good spot in the dark, hoping that it lined up well with the aurora and didn’t have too much light pollution. In places like the Hotel Kultahovi at Inari, that worked out quite well, since I had a river of frozen rapids less than 100m from my hotel room. However, if possible, I recommend going to potential shoot locations during the day so you can get a better idea of what options you have for your foreground. You should also use a compass to determine what, if any, foreground lies to the north or northeast (the lights will usually start in the northeast sky and move across towards the northwest sky as the night goes on). That said, please don’t get too attached to any specific compositions. The northern lights are an incredibly dynamic subject, and while they can generally be relied on to be in the north, they move rapidly and can appear in regions of the sky that you didn’t expect (which can completely throw off any planned compositions). Be flexible (a mantra that you’ll need for composition as well as for your settings, as I’ll describe in my followup post). 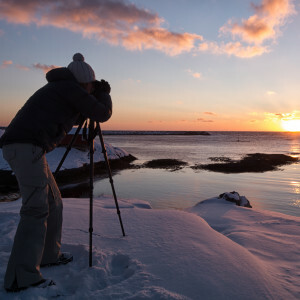 Once you know where you’re shooting, you’ll need to know how you are going to light the foreground. If you have some moonlight, that can help to bring out details in your foreground without any form of artificial lighting; if you are shooting over a body of water, the aurora can be bright enough that it can actually make the water glow green as it reflects the sky. If neither of these are the case, you may need to use light painting to bring out details and stop the foreground from just being a dark blob. I am currently writing a post on how to light paint, but in the meantime, please check out this excellent article on Digital Photography School to learn more about this technique. Hopefully, all of this should give you a good idea of where to start when planning your once-in-a-lifetime northern lights shoot. Some of them may seem like small details, but making sure you’ve covered the small stuff now is much better than it becoming a factor that blocks you from getting your dream photos later. Did I not cover something you’re wondering about? Get in contact with me here.